We are a spousal duo writing family-friendly suspense and inspirational romantic suspense novels based on our challenging careers in the U.S. justice system. 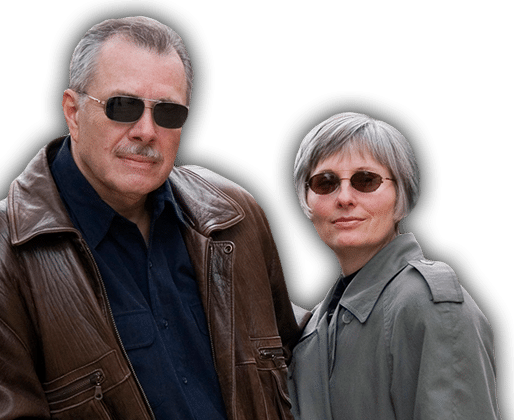 Our novels are called “factional fiction” because they are inspired by fictionalized events and themes from Diane’s career as a Federal Prosecutor/Attorney and David’s career as a Special Agent with NIS (now NCIS), and undercover Special Agent with the Drug Enforcement Administration (DEA). If you read our books, you know we feature an inside look at the lives of heroes. Realistic and fast paced like our careers, our thrillers weave multiple related plots and romantic situations; however, sometimes we don’t reveal the surprising connection until the exciting conclusion. Though the major federal agents appear in subsequent novels, each book stands alone. They can be read in any order. 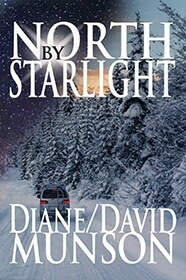 Releasing 11/13/2018: After ten best-selling thrillers, Diane and David Munson launch North by Starlight, their first inspirational romantic suspense with Attorney Madison Stone racing to Starlight, Vermont from her D.C. law firm to save the inheritance of Jordan Star, sole heir of his late grandfather’s Star Mountain ski resort. Maddie arrives in the winter wonderland ready to defeat the claim of Jordan’s mystery relative. Instead, she finds surprising struggles and diversions in the idyllic town during the Christmas season when her ex-boyfriend, attorney Stewart Dunham shows up to represent the interloper. Maddie sharpens her legal skills in trying to outwit him and a greedy mining enterprise bent on changing Starlight forever. She and Jordan form an alliance, and the ensuing legal battle leaves her emotionally vulnerable until Trevor Kirk, a geologist, focuses her mind back to what is important, saving the town and finding her heart. Most readers know the Munsons’ thrillers are stand-alone novels with some characters reappearing in subsequent books. Readers will be happy to know Maddie Stone made her first appearance as the attorney helping Sophie Worthing win a court case in Hero’s Ransom. 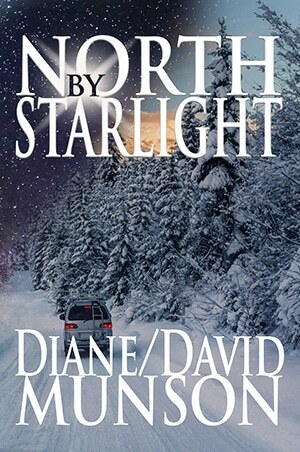 While North by Starlight begins after Maddie breaks off an engagement, she dips her toe again in the babbling brook of romance in Diane and David’s newest fast-paced and family-friendly adventure. Order North by Starlight from Amazon or click and pre-order your autographed copy from the Munsons. It will be autographed and shipped to you after November 13th. Check out our Two ExFeds News Wrap Blog, where we discuss law and justice issues in the news. If you sign up for our quarterly newsletter, we’ll keep you posted about where we are traveling, host contests, and tell you about new releases. 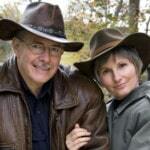 Read “About Us,” and check out our books and appearances. Watch short videos of our releases on the Media page and Book page. We look forward to meeting you as we travel for book events. If your library, church, or group wants to host us to speak or present a “Mystery Event,” contact us and we’ll get back to you. It’s fun meeting readers and sharing the adventures in our writing and careers. 02/21/19 11:30 am JOY Luncheon, Idlewild Church, 18333 Exciting Idlewild Blvd, Lutz, FL Phone 813-264-1515 to register.